In this article, we’ll take a look at using HTML forms provided to you by your autoresponder that can be submitted for various triggers. This is perfect for those who use an autoresponder not currently integrated with ThriveCart, or for users who only have access to HTML forms. You can see a list of the API integrated autoresponders we connect with here. 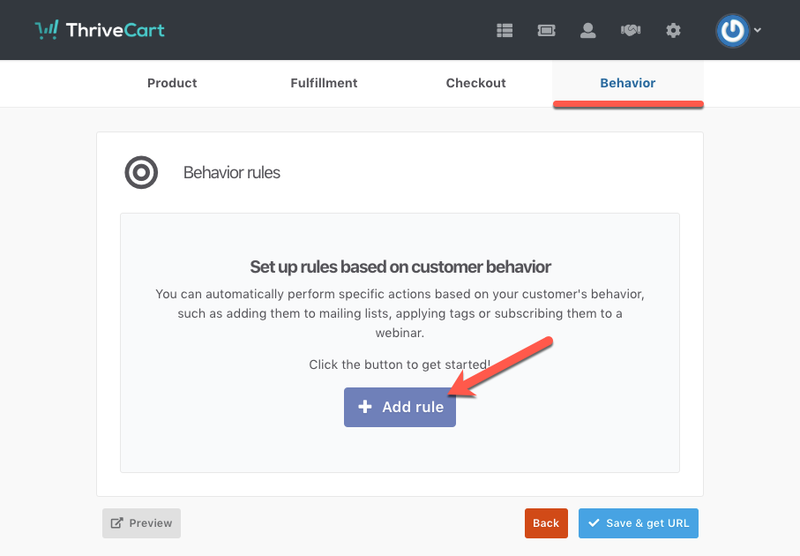 Firstly, under your product settings, you’ll want to head to your Behavior tab then click on the Add rule button. 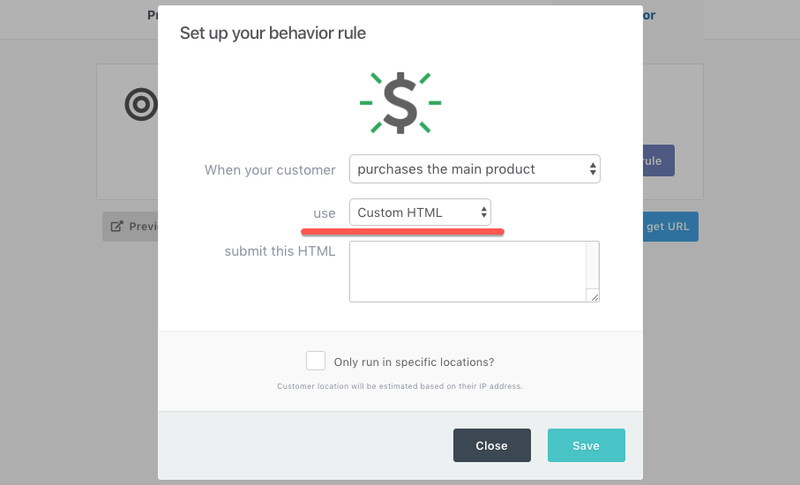 Here we can select the trigger we want this rule to fire for, then select the method of using Custom HTML. Then in the field submit this HTML, you’ll want to enter the form embed code provided by your autoresponder. As long as your HTML input fields are named one of the above, then they will be recognised by ThriveCart and details matched to it.